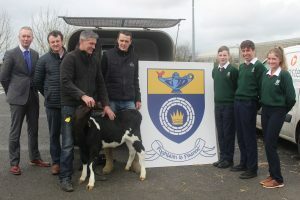 There was great excitement last week as students in CCS welcomed local farmer and past student Raymond Vere Hunt with a calf for their Bóthar project. The local farmer donated the cow when he learned about the Transition Year project . 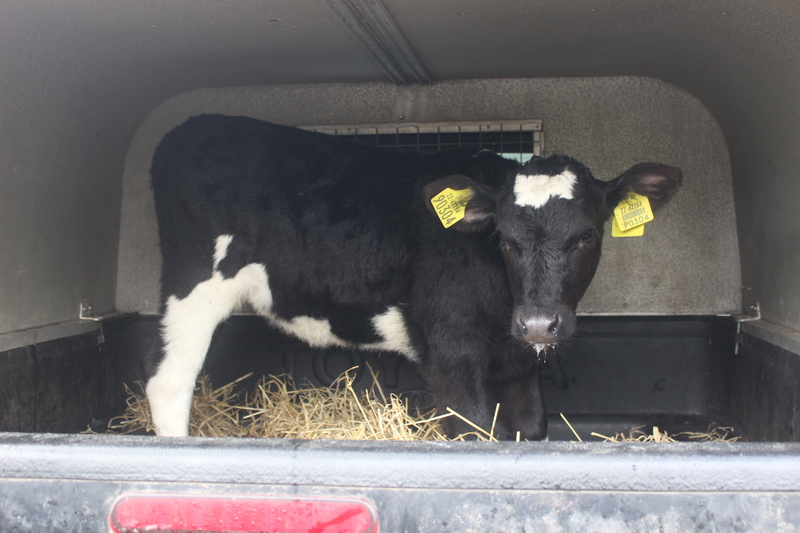 The calf was then transported to Shelton Abbey prison as part of the prison’s restorative justice programme. 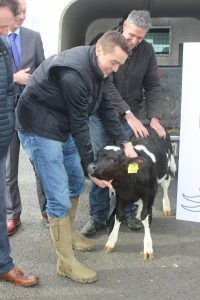 The prisoners who will hand-rear the calf get a sense of responsibility and a sense of what it is to do good, which is an important as part of their rehabilitation. 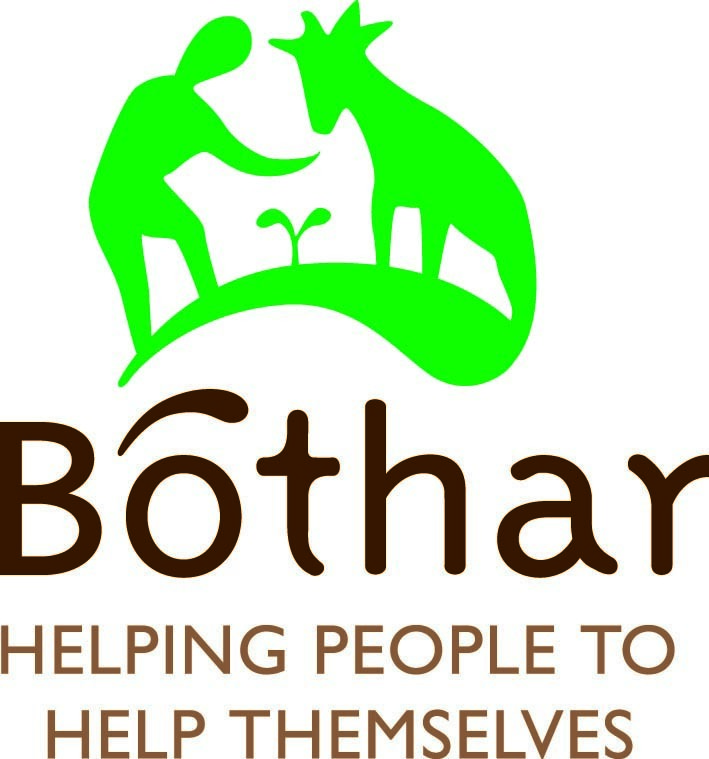 Bóthar representative Pat Mullins told the students about his experiences in Rwanda and reminded students to be grateful for everything they have. In September 2020 the students hope to visit the prison to see their cow before she flies out to Rwanda .This cow will become a lifesaving hero in Rwanda as it will produce twenty times more milk than a local cow. The students still need to raise money to cover training & preparation of a Rwanda family to receive the animal, transportation of the animal & full veterinary back up . 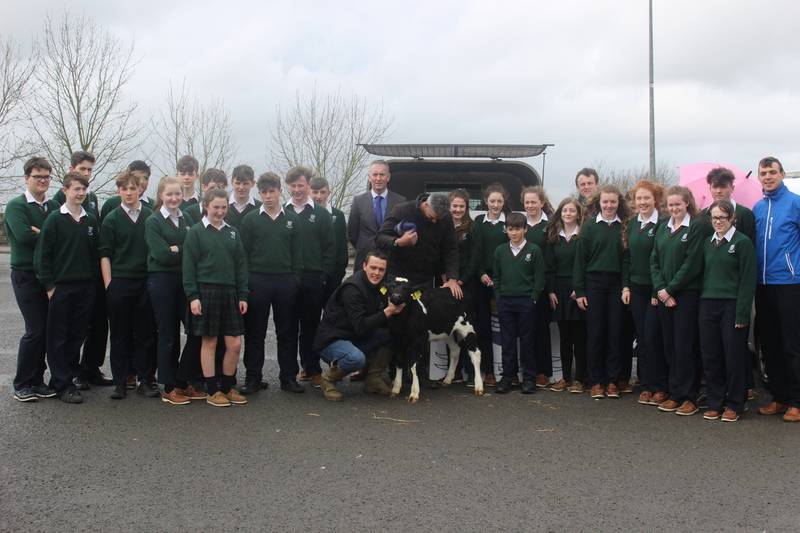 The students will organise a fundraising leg wax after Easter to help with these costs in what promises to be a fun filled day to remember for CCS. 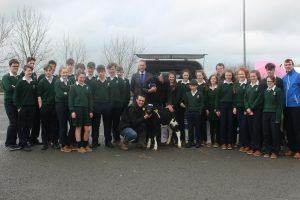 Photo – Principal John Gallagher , Tim Bourke , Pat Mullins ( Bóthar ) , past pupil Raymond Vere Hunt and TY students Elio Bonelli , Danilo Mazzola and Caoimhe Doyle O’Donnell.